Being in debt is a depressing experience. “A trouble shared is a trouble halved”; but the annual report of Consumer Credit Counselling Service (CCCS) shows 25% of those in debt don’t share their troubles with friends or family. It’s understandable that people don’t want to discuss their debt problems. They’re embarrassed that they might be judged. However, admitting you’re in financial trouble is the first step towards solving the problem. CCCS also revealed that 45 per cent of people delayed seeking advice for more than a year after they started to worry they had a debt problem. Many of them had probably carried the worry alone. Many tragic suicides are caused by the worry of debt (and for every suicide there are ten attempted suicides). If those people had been able to talk about their problems, who knows what kind of future they may have had? Don’t just worry about debt. Instead look for a way to deal with it. There are many people and organisations that can help. CCCS (and the other debt advice charities: see below) are on hand to help. All of them can help those in debt find ways to put their finances back on track. Just talking to friends and family could be a good first step on the way to coping with the deep anxiety that money worries cause. I had intended to add some thoughts of my own to this; but I think that the article says what needs to be said. I’ve just added information about organisations that can help; see below. Free advice provider; registered charity. Funders include central and local government, charitable trusts, companies and individuals. Free advice provider; registered charity. Supported almost entirely by the credit industry. Free advice provider; registered charity. Part of the Money Advice Trust, (see below) funded by a mix of private sector donations and Government grants. Money education charity, in partnership with CCCS (see above). Free online advice provider, plus the Spendometer (see Chapter 8), Money Manuals and other resources: www.creditaction.org.uk. 2. LOCAL INDEPENDENT DEBT ADVICE ORGANISATIONS ALSO EXIST IN MANY AREAS AND ARE TOO NUMEROUS TO LIST. I appear to be stalking Simon Read of The Independent. If so, that’s because payday loans are again in the news and this is a story and a cause he has taken up and because he writes well on the subject. The latest twist in the story: research by Shelter (a UK housing charity) reveals around seven million people are turning to credit to try to keep a roof over their heads. In the past year alone, almost one in seven of those – i.e. just under one million people – have resorted to payday (i.e. emergency) loans to cover rent or mortgage payments. The Independent has warned that payday lenders are cashing in on the struggles of millions who are unable to borrow from mainstream lenders and those companies charge interest rates of up to 5,000 per cent. The impressive Campbell Robb, CEO of Shelter, said that this “… shows the extent to which millions of households across the country are desperately struggling to keep their home. I cannot disagree with anything that’s been said above. It’s a sad state of affairs and I’ve no doubt payday loan companies in general are cashing in on the misery, despite what was said by the boss of Wonga to Simon Read and which I reported in an earlier post. There have been calls for these firms to be outlawed. But for the people who feel they have no alternative, what will they do if that happens? Anyone in debt crisis who consults an adviser at one of the debt charities – such Citizens Advice or National Debtline or CCCS, here in the UK – would probably be told to avoid payday loans. But I wonder how many of the million people mentioned in Shelter’s report have actually talked to such an adviser. I know that these resources are stretched; and as the charities reply to some extent on grants from the public sector, they may well become even more stretched because of spending cutbacks. I don’t know the full answer – and of course it’ll be different in every case – but wider access to free, impartial and high-quality financial advice must be part of it. What’s more, financial education has to have a higher priority than it does now. A BBC investigation has found that some debt management companies have been holding on to clients’ cash rather than paying it to creditors, The practice has left many debtors thousands of pounds worse off and facing financial ruin. If a firm goes out of business and client funds have not been kept in a protected account, some or all of the money is likely to be lost and the debtor becomes liable for the shortfall. The Office of Fair Trading (OFT) has condemned the practice as “totally unacceptable” and has promised a crackdown. One couple mentioned in the report had to put their house on the market and could face repossession, after responding to a cold-call from a debt management company and taking out a Debt Management Plan or DMP. That company, Global Debt Solutions, based in Bolton, offered to arrange a repayment plan for £40,000 of credit card debt and loans. However, after having made payments to Global Debt Solutions for several months, the couple found the money was not being handed over to creditors. Those creditors have successfully taken the couple to court, so they now have County Court Judgements against them. They’ll also have to go to court on their mortgage, so their debt problems have got far worse instead of being solved. It could soon be at a point where they’ll lose their home. Global Debt Solutions, later known as 3 Step Finance, has been shut down by the Insolvency Service, which found that it did not monitor payments properly. However, it has emerged that other companies have adopted the same tactic of accepting money from people in debt and not passing it on to creditors. A debtor taking out a DMP with a company using this tactic runs a real risk that the company might fail while the funds are in its account. David Fisher from the Office of Fair Trading is promising action. “We regard the practice as unacceptable,” he warns. “Where we have evidence we will remove a company’s consumer credit licence, which means it cannot operate. That is welcome news but sadly it is already too late for those debtors who are already dealing, or will soon be dealing, with a repossession order for their home. I conclude by saying what I always say: before making any important financial decision – including taking out a Debt Management Plan with a commercial company – take advantage of the free and impartial debt advice which is available these days. I stress the word “impartial”, because some advice is advertised as free but is not impartial, i.e. the organisation has a commercial motive for advising a certain course of action. The advice you’ll get from the three major national charities working in this field – Citizens Advice, National Debtline and Consumer Credit Counselling Services – is indeed both free and impartial. There are also many similar (i.e. “not-for-profit”) organisations that operate at a local level but check out carefully that they indeed “not-for-profit” before taking their advice. 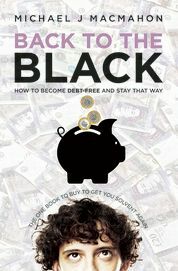 You can also refer to the Resources section of my book “Back to the Black: how to become debt-free and stay that way”; there you’ll find contact details for about 50 advice organisations. IS IT SAFE TO PAY YOUR RENT OR MORTGAGE WITH A CREDIT CARD? What’s the problem? According to a report by the charity Shelter, there’s been a large increase – possibly 50% in a year – in the number of people using credit cards to pay their mortgage or rent. Does this affect owner-occupiers? Or tenants? Or both? According to the BBC website, the Council of Mortgage Lenders (CML) suggests that the problem has been sensationalised by the media. That may be true. It would not be the first time. I should point out the obvious, however: the CML’s concern is only for mortgages. What Shelter describes may well be more of a problem for tenants than for homeowners. Mortgage rates are exceptionally low at present, so it’s less likely that an owner-occupier will have difficulty meeting housing costs, other things being equal. Also mortgage payments are normally taken on a direct debit, the CML says. The reduction in housing costs caused by low mortgage rates has not yet been mirrored in reduced rents (why not?? Logic tells me it should be). Therefore, other things again being equal (which they never are) a tenant is more likely to be tempted to solve a short-term cash-flow problem by paying the rent with a credit card. “In the current climate”, I would not be surprised if there has been an increase in the number using cards. But has the increase really been 50% in a year? That’s massive. What they say, if you read the various reports, is that it’s gone from 4% to 6% and that is indeed an increase of 50%. Firstly, you’d have to ask how big was the sample; obviously they didn’t interview everyone in the country (well, they didn’t ask me, anyway). And secondly, here’s a bit of a giveaway. Last year’s survey calculated the number of households, rather than individuals, that fell into this category. However, “the figure for households has not been calculated this year”, according to the report. So are we comparing apples with oranges, to make a point? So is it safe to pay with a credit card? Back to the question at the top of this post; is it safe to use a credit card to pay your rent or (less likely) your mortgage? The answer is a cautious yes, but only under certain circumstances. Credit cards do not have the astronomically high interest rates of payday loans, but the principle is the same. IF there is no alternative, and IF you are 100% sure you can pay off the card in full before the interest kicks in (you have 4-6 weeks to do that) then fine. If not, then as I have said many times before … get help from one of the debt advice agencies (for example Citizens Advice, or Consumer Credit Counselling Services, or National Debtline) and put together a plan. If you don’t, you could find yourself on a slippery slope. I’ll be following up this story. “Watch this space”, as the saying goes. PAYDAY LOANS: FRIENDS IN NEED OR WOLVES IN SHEEP’S CLOTHING? Earlier this year, during an interview on Heart FM, I was asked about payday loans: would I advise anyone who was especially cash-strapped (for example as a result of Christmas), to take out one of these loans? This is a tricky matter: anyone considering any such loan must have exhausted all other possibilities. Payday loans, usually for sums up to £1,000 ($1,500), are known to carry very high interest rates. Those rates could be affordable if it’s the only game in town AND if the loan really is repaid quickly, i.e. on payday, but if it’s rolled over then the problem starts. However, they are marketed as being instantly available, which of course is very attractive when things are tight. • The fact that it’s cash: a cheque is less useful if you have to pay it in to a bank account with a maxed-out overdraft, though of course cheque / cash converter shops have foreseen that problem. • The fact that it’s local, with a collector who probably lives near you. If there is no alternative, and if the sum borrowed is repaid at the next payday, then paying that interest (high rate but small sum) is better than having to default on the mortgage or a credit card bill. The problem arises, of course, if the sum isn’t paid quickly. Then, of course, it will become more and more difficult to repay, because of that very high interest rate. I could publish a table showing how the sum owing would build up at those very high interest rates: but that would be very depressing for you and for me. In the radio interview I said that if anyone was in a situation where they saw no alternative solution, then they should take the loan, provided they immediately got help from one of the debt advice charities, for example the CAB (Citizens Advice), or CCCS (Consumer Credit Counselling Services), or National Debtline, or one of the many local “not-for-profit” debt advisory services, and put together a plan. Step one of that plan must be to repay the payday loan as a first priority. I still stand by that advice. In order to check my facts after that interview, I found a website that lists the top 5 payday loan providers (the “top 5” ranking is by “rough estimate of lender’s approval rates”). I found the APRs of these lenders varied from over 990% to over 2300%. Eye-watering stuff, if you can’t repay quickly. http://www.moneysavingexpert.com/news/loans/2010/01/loan-sharks-leaving-victims-in-debt-all-year . That article talked about interest rates (APR) “up to 1500%”. As you can see above, I found some rates to be even higher. Credit unions are an alternative and much cheaper source of short-term finance that people in this situation could look at: an alternative, in fact, to high-street lenders as well as to payday loans. Worth checking out? 26.8% sounds better than those payday loans. If you are in debt, and whether or not you are considering a payday loan, I always bang on about the need to get help as soon as possible. That should preferably come from an independent, impartial (i.e. not-for-profit) advice service such as the local CAB (that’s the Citizens Advice Bureau, for the benefit of any readers of this blog who are not in the UK) or CCCS (Consumer Credit Counselling Service) or National Debtline. Then you need to formulate a plan with the help of that advice, and inform the creditors that is what you’re doing and ask them to freeze interest while that’s happening. Many creditors will agree to that, but if you don’t ask you don’t get. Many debtors spend too long in denial and they don’t communicate with their creditors, which makes the situation worse. I know: I was one of those. 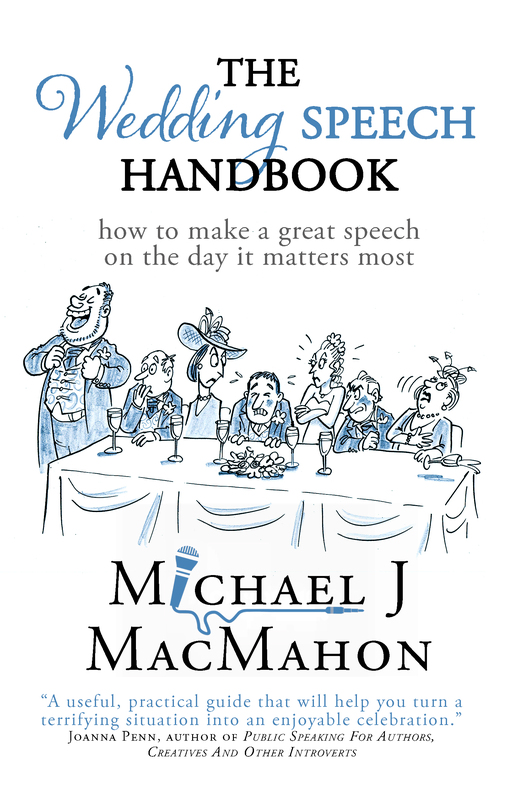 In fact my book’s subtitle could even be “Learn from my mistakes”. At the top of this post I mentioned Christmas. This is a good time to say that one way of avoiding payday loans is to cut down spending. Don’t cut down on the fun but do cut down on the presents! When I was doing that second radio interview with Heart FM earlier this week, an instructive fact about the state of our economy cropped up. I was talking to Heart’s Rob Mayor about the necessity for Brits with debt problems to get tailored and impartial advice, preferably from one of our excellent independent advice organisations within the charity / voluntary sector. The best-known examples at the national level are probably CAB (Citizens Advice), CCCS (Consumer Credit Counselling Service) and National Debtline. I also said that a face-to-face interview was better than a phone helpline, especially for anyone starting to get to grips with the problem for the first time. However, just before we started to record the interview, I had a call from Citizens Advice in response to an earlier enquiry of mine. As Rob and I had just been talking about the recession, I asked my CAB contact what was their current waiting time for a face-to-face debt advice interview. The answer was 3 – 4 weeks; longer than usual and a sign that the effects of the recession will be with us for quite a while yet. Phone help is, of course, available a lot more quickly. Yesterday I was working with Jenny Layton, who’s giving me fantastic help with the text-editing of Edition 2 of “Back To The Black”, i.e. the complete content as an e-book. I am still hoping we’ll get the file uploaded by the end of February. After that the next project will be a podcast and an audio version of the complete book. This morning I did another interview with Heart FM, this time with Rob Mayor. This came about because Heart felt that the issue of “Payday Loans” needed exploring further. We talked about why people are tempted by such loans, the benefits on which they are sold, and the well-known disadvantages of the astronomical interest rates. Those rates could be affordable if it’s the only game in town AND if the loan really is repaid really quickly, i.e. on payday, but if it’s rolled over then the problem starts. We talked about credit unions as an alternative to high-street lenders or to payday loans. I also stressed the need to take advice, preferably from an independent, impartial (i.e. not-for-profit) advice service such as the local CAB (Citizens Advice Bureau, for the benefit of any readers of this blog who are not in the UK) or CCCS (Consumer Credit Counselling Service) or National Debtline. Then the need to formulate a plan with the aid of that advice, and to inform the creditors that is what you’re doing and ask them to freeze interest while that’s happening. If you don’t ask you don’t get, but many debtors spend too long in denial (and I was one) and don’t communicate, which makes the situation worse. All this is the kind of advice that most people have read lots of times; however, my hope is that when the complete book is published, people will view the advice in a different light because of what I say about where I went wrong. In fact the book’s subtitle could even be “Learn from my mistakes”.